The global discussion on climate and man’s effects on it is badly stalled. Perhaps that’s because temperature rises have stalled as well. Since the grand El Nino of 1998 there hasn’t been much in the way of temperature climbs. If this pause continues a while longer scientists will have to rethink how they construct their models. A lot of climate activists are fighting to preserve the continuous climbing idea. They point to the fact that the plateau does not include a decline and quite rightly point out that if natural causes are masking the contributions of CO2, it doesn’t really mean that those contributions aren’t there. Sadly, a lot of their energy is wasted on trying to defend over-ambitious statements of years gone by–and it shows. On the other side of the fence, skeptics are chewing like a terrier at the pant cuffs of the climate establishment, still fighting the FOI fight and pointing out the flaws and the foibles of those involved in the Climategate scandelette. There’s real material for them to focus on, but it seems almost quaint in 2013. At the end of the day, skeptics will probably get an acknowledgment of wrong-doing with regards to the hiding the uncertainty of data presented to policy makers. But at the end of the day it will no longer be relevant. And the fact that the investigations and continuing procedures were probably set up to achieve this exact result will not change it. Here in the present day, climate activists are stupidly and wrongly trying to tie current weather events to climate change. Stupid, because it is bad strategy to make yourself a hostage to the weather. Wrong because scientists from all walks of life have said repeatedly that you cannot tie individual events to climate change. (That includes the IPCC.) Worse, a lot of the metrics used in this silly attempt are actually proving to show that there are fewer destructive events, such as hurricanes and tornados and that some measurements of drought show it in decline in many (not all) major agricultural areas. It’s all trivia–if the skeptics secured the resignation of those they are attacking it would not change climate science, climate policy or the climate itself. If the activists managed to convince the world that each storm or drought was a plague visited on the people by climate change it would not affect the policy decisions of the countries affected, let alone policies of countries far away. What is important and current includes new and exciting information about the sensitivity of the atmosphere to CO2 concentrations–and yet discussion of this has moved rapidly to the back pages, probably because it involves higher math. What is important is the stark reality of the pollution enveloping Beijing and its potential for changing energy policy there. What’s important is the ongoing changes to the fuel mix in the United States and its effects on our CO2 emissions. If we can frack safely and export the know-how to places like China it can make a huge difference. What’s important is Germany’s decision to shutter its nuclear power plants and open 23 coal plants to replace them. Even if atmospheric sensitivity is low–and I think it is–the trends for energy consumption and fossil fuel usage threaten to get to really high levels between now and 2075, something I talk about a lot at my other blog. Tough and important decisions need to be discussed, made and implemented. Chasing after those who behaved badly in the past, inventing a connection between today’s storms and climate change–this is slowing us down, not helping. There was an interesting article on black soot at the Guardian site today. 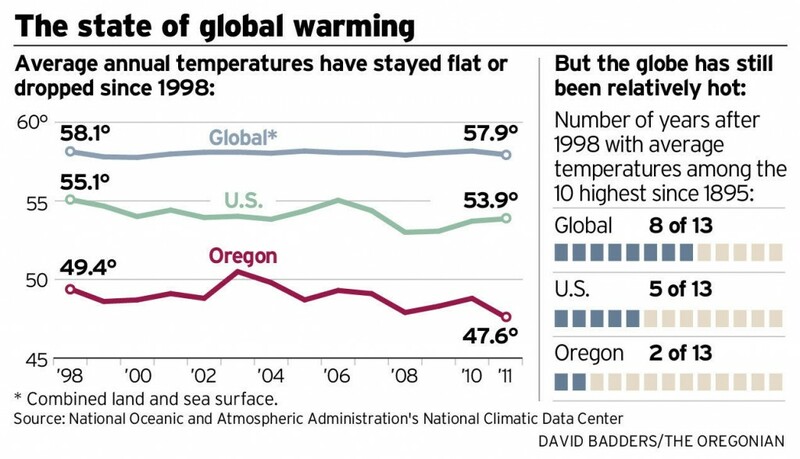 By the time they correct for the other causes of GW , sensitivity to co2 will be even lower. It’s approaching what they calculated 40 years ago. Tom, this is an interesting post. I really wish that the CAGW debate would just slow down, that everyone would realize that the sensitivity to carbon is real but small. Then we could settle on a plan to slowly bring down our use of fossil fuels and look at non co2 causes of climate change. I’d be happy to go back 40 years and start over. I still see some problems ahead. The issue has gotten politicized and repoliticized. “The earth is going to burn up because those hippies won’t let us build nukes” line has been all but forgotten. But I’m starting to hear “The earth is going to burn up because those greenies won’t let us frack.” Mike Bloomberg and Andrew Coumo have said things close to that already. This natural gas boom is in its infancy. Only a fool would think that the price will stay this low. Many of these fracking sites aren’t economical at the current price. They needed the EPA co2 ruling to increase demand. I sent you a synopsis of a report by Control Risks done for the fracking industry. It advises them not to underestimate the backlash that’s coming. I don’t think that pundits should ignore it either. We’re seeing a rebirth of a grassroots movement. It’s rural and small town. You mention “safely fracking.” Right now I don’t see any mechanism that would even encourage that.